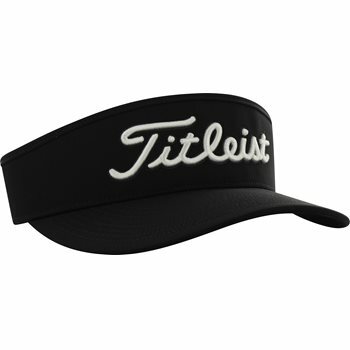 The Titleist Tour visor will keep the sun out of your eyes while also keeping your head cool. The moisture wicking sweatband draws sweat away from the skin to keep it cool and dry and the wide brim offers superior sun protection. Features of the Tour visor include water resistant twill, a taller profile for a comfortable fit, tour logos for an authentic on-course look, antimicrobial properties that reduce odor, and a new Velcro closure that provides easy adjustability.